Cootehill, Co. Cavan, Rep. of Ireland. Our manufactured cloth pump sleeves provide an excellent finish with any pneumatic drum system. Quality flexible material is expertly designed for consistent quality and size. These belts work great on sanding surfaces, edges, shapes, and profiles for metal and wood applications. 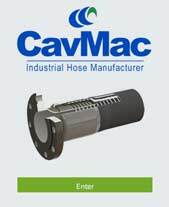 Abcon Industrial Products Ltd. CavMac Hose Building, Cavan Road, Cootehill, Co. Cavan, Rep. of Ireland. Abcon is part of the PSB Industrial Products Ltd Group. Copyright © 2019 · Abcon Industrial Products Ltd.